May 30,2008 Sam B. and daughter got together in Sulphur with Captain Tom for some Quality time together at Lake Calcasieu. Hailey became a quick learner on the Berkley Gulp Plop. No Live Bait available, soooooo Gulp to the Rescue!!! 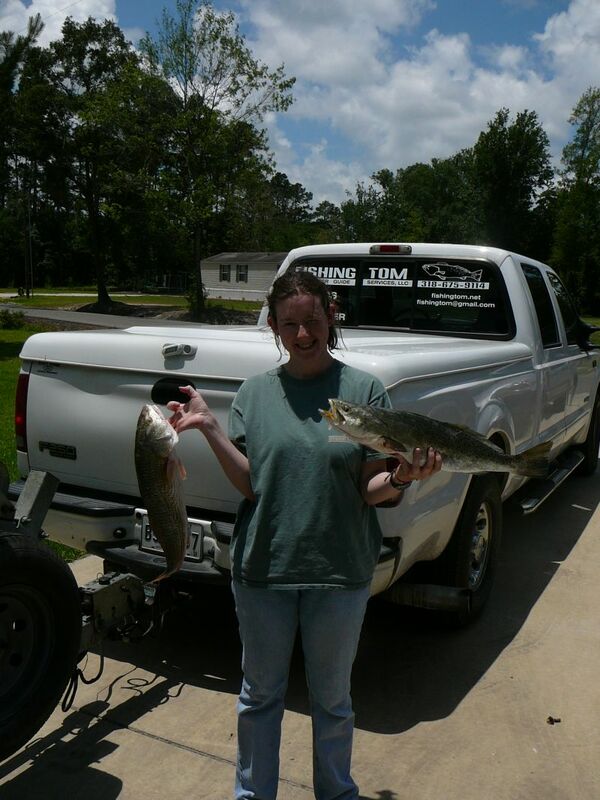 Hailey started The trip with a 5#3oz Red and a 3#4oz Trout. 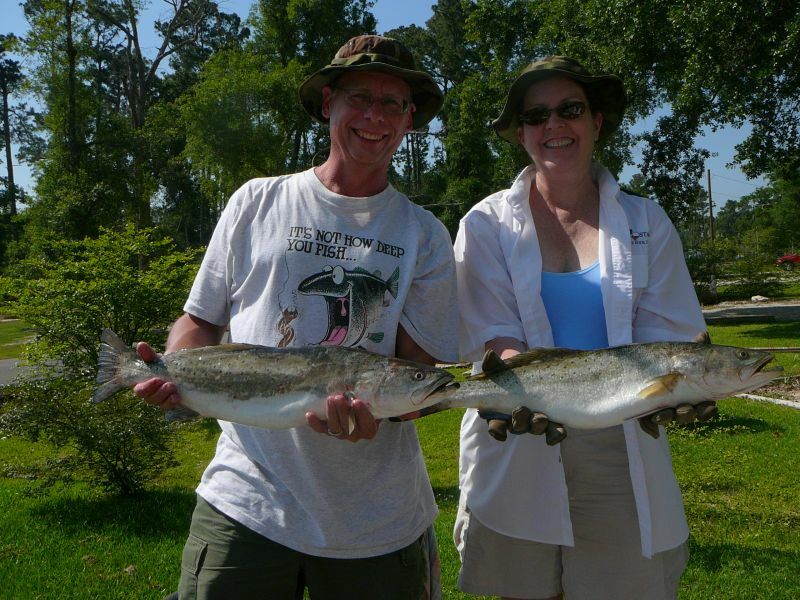 Sam soon had a nice flounder and a few trout of his own but there was no stopping Hailey who then boated a 4# 11oz Trout And after chasing the birds with little success we moved to Captain Tom’s wife’s favorite spot and Hailey hooked a monster Trout . My best guess was between 7 & 9#. After a few minutes of line stripping and tangles in the trolling motor the fish dove under the boat and snagged on a cut in the boat guard and broke free. After a few choice words we called it a day. Great Job Hailey!!!! The Second day for these guys was twice as good with 45 fish in the cooler these guys were getting the nack of the gulp plop under a cork and put the hurt on a mess of Big Lake Trout under the birds. 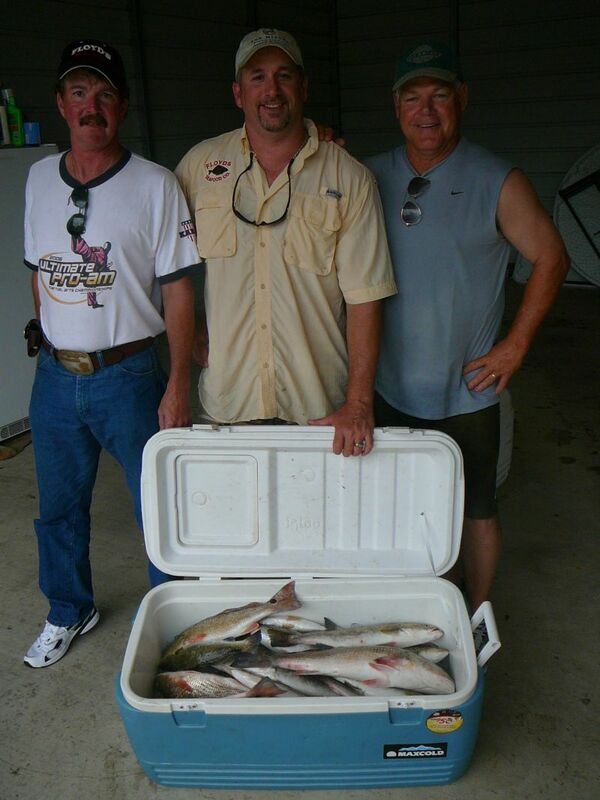 Daniel B. his Brother and Friend won the St Jude Trip that was raffled off in Minden La. 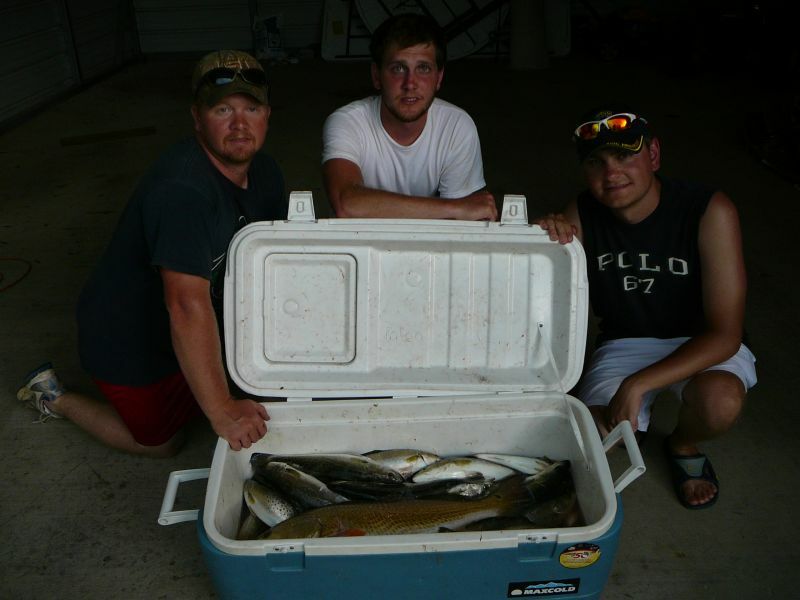 They were bass fisherman and this was their first trip to Big Lake. 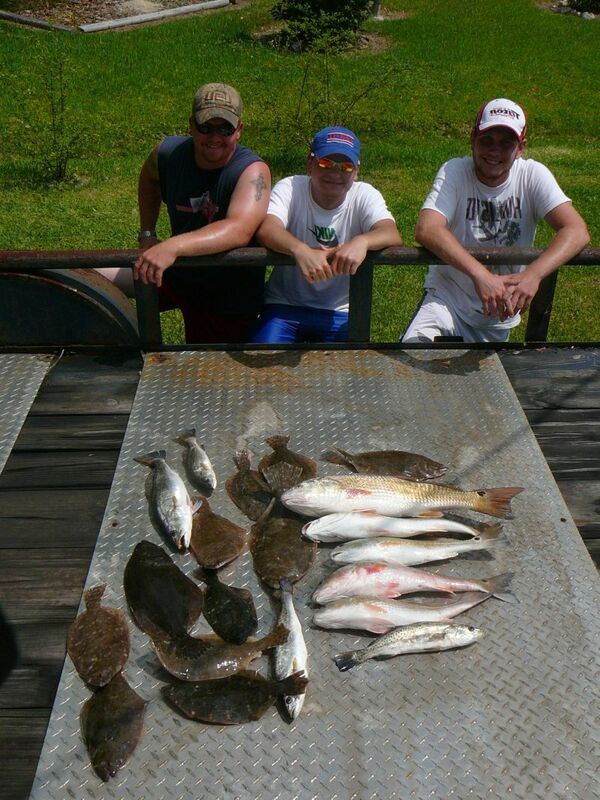 The first day,May 27, the used a Natural Berkley Gulp to catch a nice mess of Flounder, Reds and Trout. 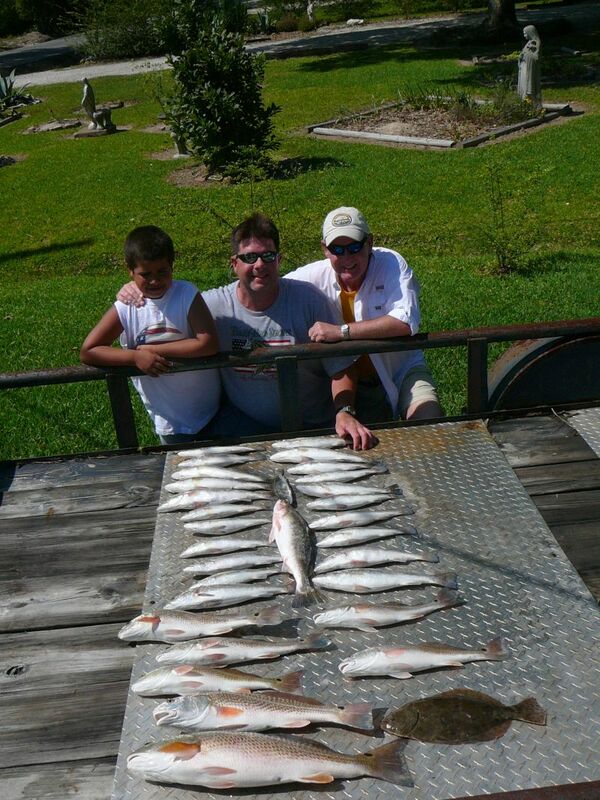 On May 19, 2008 senior member John, Big Fish catcher son Craig, and Grandson Nicholas had a great family holiday catching Big Lake Trout ,Reds and Flounder. The fish were hungry for the live shrimp we were offering ,but Craig landed a nice 5# Red & 3# Trout on a Jig and Plastic on the bottom and John caught a slam with his nice 2# flounder. Nicholas did a great job helping Captain Tom with on the net work and saved a nice Red tangled in the trolling motor. Great job Nicholas!